← Crazy Awesome Weekend with Family! Happy Birthday and Anniversary, Christine. Thank you for taking the time and energy to write your blog; I thoroughly enjoy it. 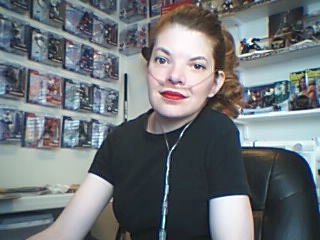 I am also on oxygen 24/7, but have been for only about a year and a half. My thoughts and prayers have been for the people in Texas. I worry especially for those on oxygen or who have other special needs. I would love to go there in person (I am a retired nurse) to give what help I could, but that is behind me now. Thank you Carolyn. I can’t imagine what it’s like for those people who require electricity or oxygen due to a medical condition. K and I were watching CNN and they were talking about a person being rescued because of being almost out of oxygen. That’s too scary to think about let alone to actually experience it during a massive flood. Awwww.. *hugs* I actually have had to cut back on some of the household chores because I get so short of breath.. I still do all the easy chores though. I can’t let my husband have all the fun! haha! All the best. Be safe and happy early birthday.